OOK® provides hangers, hooks, hanging lines, canvas clips, etc., for art display & memorabilia enthusiasts. Picture hanging hardware to exhibit artworks of all sizes, shapes, and values. OOK® Picture Hangers are used worldwide in galleries, museums and homes. 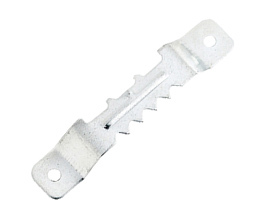 OOK® has a wide variety of Picture Hooks that can be used in plaster or sheet rock and a separate line that can be used on hardwall surfaces such as concrete and brick. The blue steel nails leave a pin size hole easily painted over if needed. Using OOK® hangers, tools and toolbox kits, you’ll hang your works of art like a true professional. OOK® offers a variety of wire with many advantages and uses. Easy on fingers and great for sculpting, crafting and hanging needs. Flexibility and durability make OOK® wire the framer’s choice. Hang or tie anything, OOK® wire is offered in a wide range of finishes and lengths. 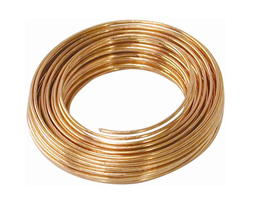 Choices include; Framers Wire, Steel Wire, Clothesline, Hobby Wire, Floral Wire, Coated Wire, and Invisible Wire. 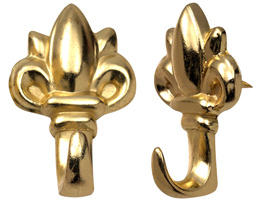 OOK® has a large assortment of hanging hardware for many frames. 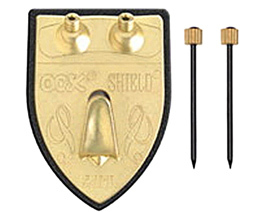 From Glazier Points and Sawtooth Hangers, to ring hangers to use with wire, OOK® has all the hanging hardware you will need to properly and securely hang your frame. Easy to use and install. Looking for specialty items to hang your decorative plates, mirrors or cups? OOK® has all the specialty hooks needed to add the finishing, decorative touches to your office or home. You can find anything from cup hooks to French Cleats that can hold frames weighing up to 200 lbs. OOK® also has Swag Hooks to hang your favorite plants inside or out. Check out OOK® Plate Hangers and Mirror Hangers as well. © 2012 OOK ® | Hillman Group | Privacy | Site Map | All rights reserved. Any usage of the images contained herein is strictly forbidden without the prior written consent of The Hillman Group, Inc.